ABOUT US - Luoyang Huigong Bearing Technology Co., Ltd. 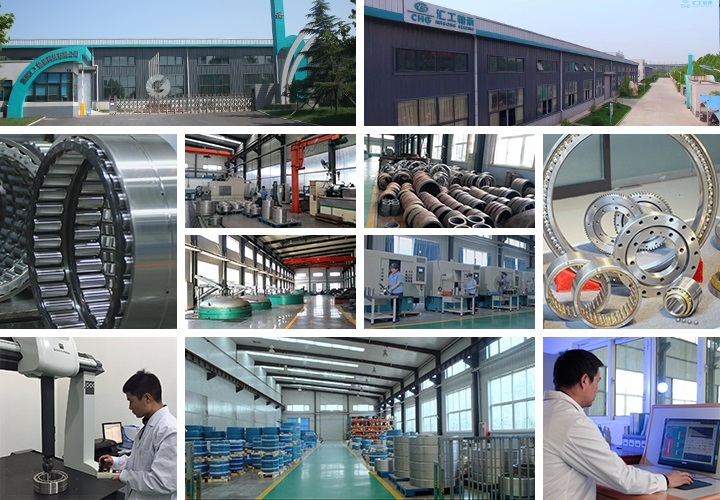 Established in 1998, Luoyang Huigong Bearing Technology Co., Ltd. (BRAND NAME: CHG) has more than eighteen years experience in research, application, production and inspection of standard and non-standard bearings. Our bearing specialists and engineers have rich experience in designing, developing and manufacturing high precision Thin Section Bearings, Crossed Roller Bearings, High Speed Deep Groove Ball Bearing, and other precision bearings etc. In addition to producing high precision, high performance, high quality items, the excellent service is always our top priorities. Nowadays CHG bearings have been extensively used in Industrial robot, aviation, aerospace, defense, medical equipment, radar antenna, optical equipments etc. CHG enjoys a very good reputation among our cooperators and customers all over the world. Adhering to our company’s philosophy “Create fortune with intelligence, Pursue benefits with quality”, we are devoted to the production of perfect quality products. Based on our professional technical team and over 18 years experiences in bearing industry, CHG has received more than 20 Utility Model Patents. In 2008, CHG becomes the first private cooperator and the technical training base for Henan University of science and technology in Luoyang. CHG is an ISO 9001:2008 certified manufacturer, we are not only satisfied as a high end of manufacturer, we also accept and cooperate with famous international testing institutions, such as S.G.S、ASIA, etc to validate and conform our quality base on our customer’s requirements. After many years’ accumulation and development, CHG has received wide acceptance among the bearing industry. Repeatedly rated as “Excellent Private Enterprise,” “Specially Protected Company” and “Class A Taxpayer” by the government. CHG wins great reputation and has been recognized as an advanced bearing manufacturer due to high quality products and excellent service. In addition to civil market, our customers are widely distributed in the world, such as United States, Germany, Spain, Austria, Dutch, Japan, India, and so on.